Western has been diligently reading all of the 2016 “Gift of Heat” nominations. It was so hard to choose who should win, we decided to double our efforts this year, and give away TWO Lennox home furnaces! We are excited to announce our first 2016 winner…The Cline Family! It was an honor for us to meet Jake and his wife Megan. Jake and Megan are the parents of 5 beautiful daughters under the age of 11. Jake is a busy husband and father who is working full-time as well as being a full-time student. Megan is working hard as a stay-at-home mom raising their 5 children and helping Jake through school. The Clines were nominated twice because of the 18-year-old furnace they have been nursing along for the last 3 or 4 years. During the cold months, Jake or Megan would have to get up throughout the night every two hours to relight the pilot light in the furnace, just to keep their family warm. Not only are they grateful for the“Gift of Heat” but also for the gift of sleep! We found it remarkable that even with all of his responsibilities, Jake finds time to volunteer in the community by participating in the “501st” which is a nonprofit organization that raises money for children and people in need. He dresses as a Star Wars character and visits children in hospitals and other events to bring them joy and happiness. 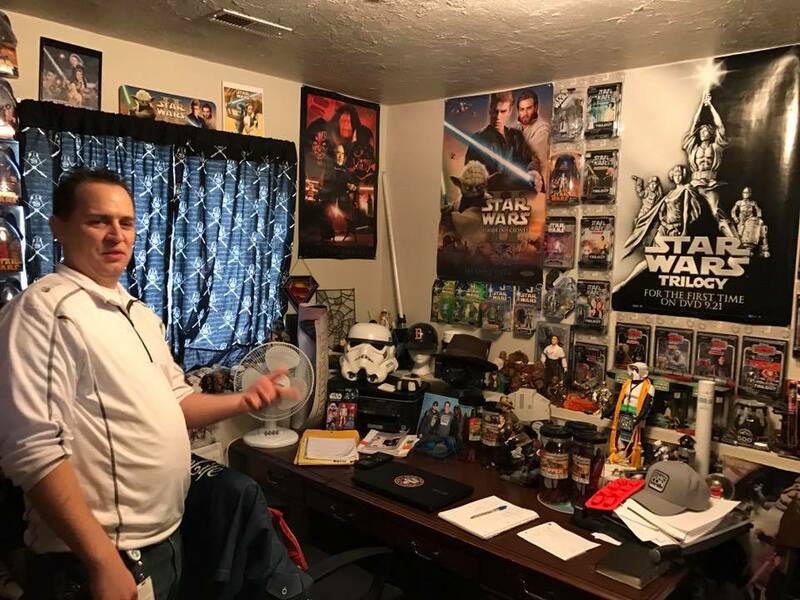 It was a real treat to see his Star Wars room and collection, and to feel of his love and passion for serving these children. We are so grateful to have met this beautiful family and thank them for allowing us into their lives. Congratulations!! We also want to give a huge shout out and thank you to Lennox for supplying the new high-efficient furnace that will save them money on their utility bills and also help them qualify for a Questar rebate. Our Second Gift of Heat Winner…The Jensen Family! We had so many nominations of deserving families for our“Gift of Heat” Program, and it was very difficult to choose just one. So we decided to give away our second FREE furnace for 2016 and installed it for the Jensen family in West Jordan! The Jensens are very humble people who have been caring for their daughter with type one diabetes. A large portion of their income goes towards medical and doctor bills as well as medication for her. The family was devastated when their furnace and their stove recently went out at the same time. This family has been deeply involved in serving in the community and is very deserving of this special gift. 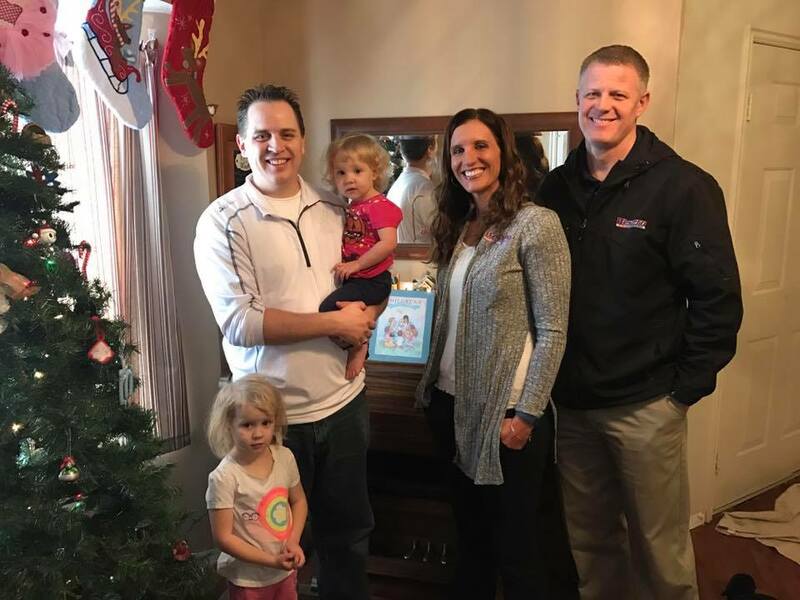 We would like to extend a special thank you to our friends at Contractors Heating and Cooling Supply for helping us give this family a high efficient Carrier furnace, and for our install team, Chance and Derick for the professional install.